It's just a short devotion this week, more of a thought really, again about our 'hands'. In this passage Jesus has rebuked the disciples for wanting to turn the little children away from seeing Him, saying, "...do not forbid them: for of such is the Kingdom of God..."
Isn't that precious?! Imagine it, those eager and excited little beings, obviously attracted to the pure gentleness and love of our Saviour, wanting nothing more than to be as close as they could be to Him. And His response showed pure delight in their actions. In fact, He draws them into His arms and HE BLESSES THEM. I wonder if the parents of those little ones ever did such a thing? 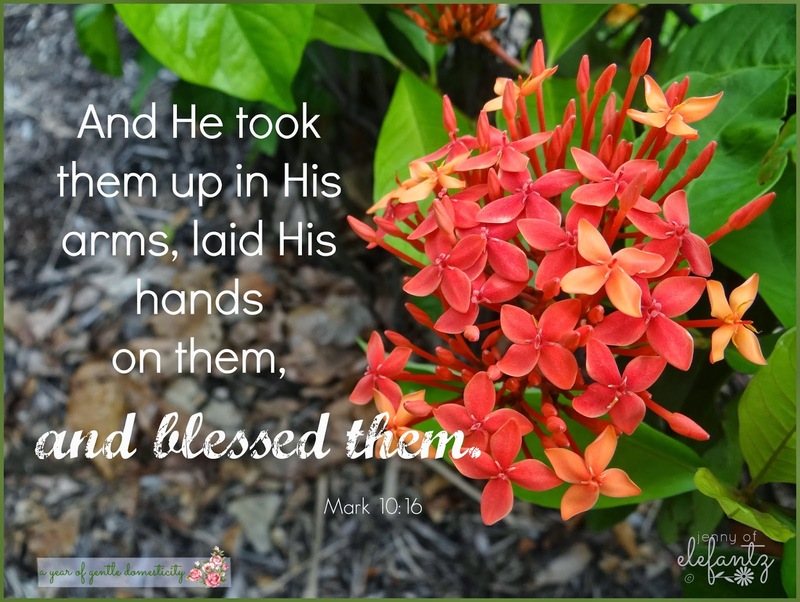 Have you ever laid your hands on your children and blessed them? I believe the laying on of hands with a blessing, to each of our children or grandchildren, is something that brings joy to Jesus. Let's do this as soon as we have the opportunity, ok? No matter how old they are. Download the printout and Scripture here. I am blessed and very grateful for my life. Now think for a minute about children going to listen to some man they and their parents did not actually know. Was He a homeless person like you see on the streets? Was He employed or living off charity? What is your genuine attitude towards the people that are not everyday, mainstream, just-like-you people? Many Australians are vocal in expressing intolerance towards refugees, convicted and incarcerated people, the filthy rich, veiled women, the homeless, and those caught in mental illness. How would your text for today sit with your attitudes and emotions if someone you did not trust put their arms about your child or grandchild? Louise, I've been pretty specific that this (for me) is about laying our hands on, and praying a blessing over, our very own child or grandchildren. I have not mentioned doing this to non-related children or strangers. I think perhaps you've taken this out of the context and heart with which is was written today. Bless you for your thoughts though! 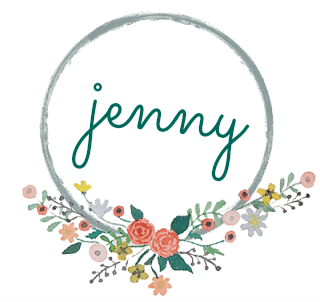 Yes, Jenny, sometimes I did lay my hands on the head of children in my neighbourhood to bless them and it was a blessing for me, too. You and hands again! My hands look better than they have in years. They had there 3'rd manicure yesterday due to you. You put it in my mind the first time when you gave yourself one this year. I am a chronic cuticle biter but if I have nail polish on I won't bite them. Because of your first manicure I have kept it up every week and my hands look great even though the amount of housework I have been doing has probably tripled. I thank Abba finds that funny that my work has increased but my hands are lovelier! I have been trying to pass my new habits on to my granddaughter. No chewing on cuticles and applying hand lotion at night especially. Yesterday was her 8th birthday and one of her gifts from us was a special pump bottle of hand lotion in a yummy almond scent just for her to keep by her bed to use before going to sleep at night and to develop a new habit. Grandmama has been telling her about Jesus' hands and how beautiful they are. I hope she will develop better habits early on caring for hers. This all started because you gave yourself a manicure my dear Jenny! Oh yes, it's common for us to give back-to-school blessings, father's blessings, and other blessings to our children - as well as the adults. I love your post, as I love all of Christ's interactions with children. Someone said today that if Christ were to walk in our church building, he'd want to see the children first. I believe he would! Every time a new grandbaby is born, the first thing my husband does is lay his hand upon its little head in blessing. This post makes me think there are other times this should be done, as well, but I know this Papa is starting them out with his blessing.